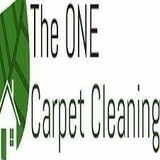 Sunshine Carpet Care provides professional carpet and tile cleaning solutions for Surrey, Langley and the surrounding areas. From houses and apartment buildings to hotels and restaurants, home and business owners throughout the community look to us for their cleaning needs. Our highly skilled staff are trained in a variety of cleaning services, and come equipped with industry-standard equipment, using the best methods and techniques. Our mission is to make you confident in believing that we provide the very best quality of work. Our professional cleaning services are backed by exceptional customer service. We are here to serve you, and your needs in the most convenient and efficient way possible, and our ultimate goal is to see your satisfaction. One of the major differences between us and our competitors is that we would rather skip the add on costs that most companies implement after they arrive. If we do have to use special cleaning products on things such as stains or odour removal, we would only ever charge the customer what we pay for the product. We do not make money off cleaning products, and we only ever use separate products when absolutely needed. Basic stain removal is a part of our regular cleaning process, and does not require any further payment. So why should you hire us? Well for starters, our low rates are almost unmatchable, our employees are very well mannered, and the strong work ethic of all of our employees is portrayed in every job we complete. Our multi-skilled workers are experts in the field, and understand that it is better to take time and effort than to rush anything. We are not here just to make money, we are here to see satisfaction, we are here to make a difference, and we are here to make a change. Why should you be spending your hard earned money to receive an unsatisfactory service? We will show you just exactly what the difference will be, all you have to do is give us the opportunity. And best of all, if you’re not absolutely satisfied, we will come back and correct anything we missed for free. If you are still not satisfied, it’s a money back guarantee. If you have carpeting in your home you know how hard it can be to keep clean. Your stubborn stains and everyday dirt are no match for professional carpet cleaning services in Port Coquitlam, BC though. The powerful tools that Port Coquitlam carpet cleaners have are designed to not only clean carpets and upholstery, but restore them as well. 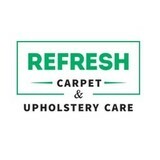 This, coupled with their expertise of materials and textiles, makes carpet and upholstery cleaning professionals in Port Coquitlam, BC well worth the expense. What should I look for in a local Port Coquitlam carpet cleaner? Not all Port Coquitlam carpet cleaning companies use the same methods, but there are a few common things that they should do to for a quality job. Make sure they do an analysis on the area you need cleaned and recommend the best course of action — are there large stains or high-traffic areas that need extra treatment or attention? Also, make sure they provide quick drying times so that you can be back in your home faster; that means hours, not days! A good carpet cleaning service in Port Coquitlam, BC should move furniture (within reason) and put it back in place when they are all done; don't let them charge extra to do this. Another important factor to look out for is whether or not the carpet cleaners use chemicals, and if so, they should be asthma- and allergy-friendly. This is especially important for households that have children or pets. 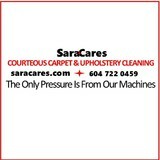 Lots of Port Coquitlam carpet cleaning services also clean rugs. Rug cleaning can involve anything from a simple wash to complete re-weaving or foundation work. Make sure the local rug cleaner you choose has experience with the types of rugs you need serviced, especially if they are hand-woven or Oriental rugs. 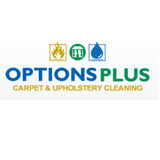 What should I look for in a local Port Coquitlam upholstery cleaner? Upholstery comes in many more varieties than carpet and rugs, thus needs cleaning tailored to each specific blend. Even if you don’t know what material your sofa or chair is made with, a good upholstery cleaning service in Port Coquitlam, BC will be able to identify it and treat it appropriately. Some textiles require dry cleaning and that can’t be done in home, so if that’s the case, check with the upholstery cleaner and see if they offer pickup and drop off services. Leather cleaning is a bit different and often involves more restoration and conditioning than actual cleaning. Make sure the Port Coquitlam furniture cleaning service specializes in leather if you are considering them for the job. 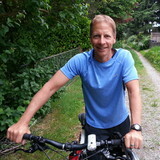 Find Port Coquitlam upholstery and carpet cleaning services on Houzz. Narrow your search in the Professionals section of the website to local carpet cleaners in Port Coquitlam, BC and read reviews and ratings to find one that fits your needs.